Radio-acoustic-ranging (RAR) navigation, developed within the US Coast and Geodetic Survey (C&GS), was the very first survey-quality navigation system that did not need to see fixed, known objects on land for inshore piloting navigation or astronomical bodies for celestial navigation. The development of the technique will be described in Hydro international in two parts. The C&GS system took advantage of making all calculations onboard with accompanying rapid plotting of positions. In this way, the surveyor could navigate his vessel on a near real-time basis. 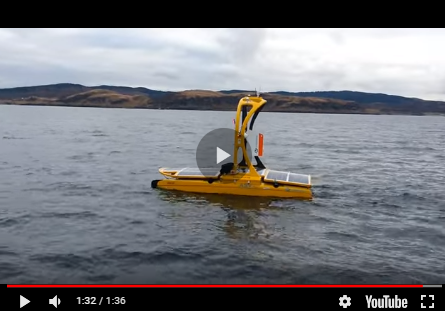 Controlled offshore, all-weather hydrographic surveying became possible for the first time. RAR was an early step on a 70-year-long road that culminated in the widespread use of GPS for land, sea, air and near-Earth space navigation. In the early 1900s, a new technology was taking its first steps. Submarine Signal Company, founded in 1901 and later absorbed into Raytheon Corpor­ation, invented a submarine bell signalling device and a receiving microphone. The device would "surround the coasts with a wall of sound so that no ship can get into dangerous waters without warning, to make collisions between ships possible only through negligence", as stated in Submarine Signaling: The Protection of Shipping by a Wall of Sound and Other Uses of the Submarine Telegraph Oscillator. Many lighthouses, lightships and buoys both in North America and Europe were equipped with submarine bells and hundreds of ships were equipped with receiving devices, which determined direction to a sound source or facilitated intersecting lines of position from two underwater sound sources. Horizontal long-distance sound transmission with this technique was the first practical use of acoustics in the ocean. In 1912, the Canadian inventor Reginald Fessenden joined Submarine Signal Company and began working on what became the Fessenden oscillator for long-distance sound transmission and reception. The sinking of the Titanic provided further incentive, as Fessenden saw the possibility of using the oscillator as a forward-looking sonar to detect icebergs. First tests of the 540Hz oscillator were made in January 1914, with successful sound transmission and reception of 31 miles across Massachusetts Bay. This test was followed by successfully reflecting sound off an iceberg 2 miles away on 26 April 1914. Fortunately, it was noted that sound was also reflected off the sea bottom by the Fessenden oscillator. Modern depth-finding instruments, side-looking and forward-looking sonars, and RAR had their roots in this test. When German submarines prowled the Atlantic in the First World War, sinking US and British vessels at an alarming rate, developments accelerated to meet the need of creating instruments to detect these menaces, so that they could then be destroyed. In his research, Commander Nicholas Heck of the C&GS worked with US and British Navy units, and US Army Coast Artillery Units engaged in acoustic experiments for anti-submarine warfare. In particular, a post-war experiment by the Army Coast Artillery that determined a very accurate velocity of sound in the shallow waters of Vineyard Sound, Massachusetts, caught Heck's attention. By establishing a number of baselines, exploding ordnance underwater at the ends of these baselines and measuring sound wave travel time to hydrophones at the other ends of the baselines, a very accurate velocity of sound was determined. Following this experiment, Heck wrote to E.B. Stephenson of the Engineer Section of the War Department in January 1923 informing him that the C&GS would be installing a new sonic range finder (a Hayes deep-water echo­sounding device) on the C&GS ship Guide. Tests would be made to compare wireline soundings with echosoundings in order to derive the change in sound velocity with depth. Stephenson wrote back with an offer Heck could not refuse: "I am very glad to note you propose to use the Sonic Range Finder... There is a possible application of our apparatus and method to your work... namely: the accurate location of the position of your ship at any time and any place within 50 miles of our stations... To determine the position of your ship, it would merely be necessary to drop a small bomb over board and in a few minutes your position could be returned by radio from the shore." Stephenson and the Army, in particular the Subaqueous Sound Ranging Section of the Coast Artillery, are credited for the primary concepts underlying RAR. Only under Heck's guidance did RAR evolve into an operational surveying system. RAR navigation involved determining an accurate velocity of sound in sea water in the local working area, detonating a TNT bomb off the stern of a surveying vessel, recording the time of explosion at the ship using a chronograph and receiving the sound signal at two or more hydrophones at known locations. When the hydrophones received the signal from the explosion they each activated a radio transmitter that would immediately transmit the reception of the signal to the surveying vessel to be recorded. Given that the distances were up to 200 miles, radio transmission time was considered instantaneous. By subtracting the time of the explosion from the time of radio signal reception, the travel time of the sound wave could be determined. With knowledge of the velocity of sound in the surrounding seawater, wave travel time multiplied by velocity of sound in sea water gave the distance. The intersection of two or more distances (ranges) would fix the position of the surveying vessel at the time of the explosion. C&GS Special Publication No. 107 describes how Dr E.A. Eckhardt, physicist, and M. Keiser, electrical engineer, of the Bureau of Standards devised the operating components of the RAR system. Dr Eckhardt had collab­orated with the C&GS earlier in the development of wireless radio techniques for use in longitude observations. Following coastal tests, RAR was first used operationally in 1924 by the Guide off the coast of Oregon. Chief radio operator Almon Vincent of the Guide was responsible for field repairs to the system and devising improvements. After initial tests, Heck turned further development of the method over to Commander Robert F. Luce, commanding officer of the Guide. Within 2 years, RAR reception had been extended 206 miles offshore, giving the first inkling of the sound fixing and ranging (SOFAR) layer. According to Commander Heck, "There was one great surprise in the results. All of those who discussed the project in its early stages questioned whether radio-acoustic work would be successful on the northwest Pacific Coast of the United States because of heavy surf noise interfering with the signals and the difficulties of installing shore stations and cables, while it was taken for granted that no difficulty would be encountered on the Atlantic Coast. The exact opposite proved the case and it is only recently in the course of the Georges Bank work that use under Atlantic Coast conditions has proven practicable". Intervening shoals, energy-sapping reflections in shoal water, and other problems caused the C&GS to initially use manned vessels as hydrophone stations far offshore on the east coast. By the mid-1930s, the C&GS had designed the first radio-sono-buoys to replace the manned vessels. These buoys were equipped with subsurface hydrophones, batteries and radio transmitters that were automatically activated upon reception of sound from an RAR bomb explosion. They were among the first telemetering instruments moored offshore. RAR was used for navigation until the start of the Second World War, when it was superseded by pure radio-navigation methods devised to navigate both Allied and Axis bombers. Just over 100 pages were devoted to RAR in the Hydrographic Manual published by the C&GS in 1942 to emphasise its importance to C&GS operations. After 1944, RAR was apparently never used again. RAR should be remembered as a major step forward in the development of electronic navigation systems, as a forerunner of many modern oceanographic telemetering systems and as a stepping-stone on the path to marine seismic surveys.